Plot:Gabriel returns to try to destroy the human race he despises so much, with the help of a suicidal teen and the opposition of the angel Daniel. Plot:The angel Gabriel comes to Earth to collect a soul which will end the stalemated war in Heaven, and only a former priest and a little girl can stop him. Plot:They say a blast of flames can take a life ... and hide a secret. 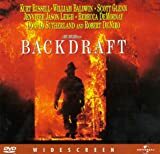 But now firemen brothers Brian and Stephen McCaffrey are battling each other over past slights while trying to stop an arsonist with a diabolical agenda from torching Chicago. Plot:He fought his first battle on the Scottish Highlands in 1536. He will fight his greatest battle on the streets of New York City in 1986. His name is Connor MacLeod. He is immortal.